Sanyo has just rolled out its Xacti G9 MPEG-4 digital camcorder that targets beginners and newcomers to the digital video recording world. This pocket-size design is small enough for you to carry it virtually everywhere you want, and it is a snap to upload high quality video as well as high resolution still photographs to the Web in various formats, including optimized ones for instant sharing on social networking sites such as YouTube, Facebook, and MySpace among others. Sounds like the perfect tool to carry around if you want to record precious memories there and then. 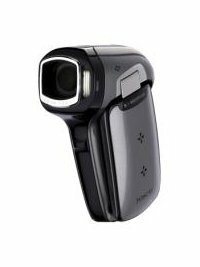 Some of the features include high quality video and a 9.1 megapixel CMOS sensor, support for both SD and SDHC memory cards to further increase the amount of video able to be stored in each outing, and video recording in high quality MPEG-4 AVC/H.264 format encoding technology that delivers exceptional video clarity. Some of the other features include a “Face Chaser” function that is capable of recognizing and focusing on up to a dozen faces in each still image, the ability to capture 9.1 megapixel still images even in low light conditions, sequential photo setting that lets you snap up to 10 photos in quick succession, 5x optical zoom to get in closer to the action without doing so physically, and a 2.5″ TFT LCD display that enables you to preview all your videos and captured photos on the spot. The Sanyo Xacti CG9 is tipped to be released in the US sometime in the middle of next month, retailing for $279.99 while being available in silver or black colors.